Smashwords author and indie publisher Alan Baxter embarks on a worldwide blog tour this coming week to promote his dark fantasy novels, RealmShift and MageSign. As a result of his blog tour, his books and his name will gain exposure to thousands, possibly tens of thousands of new potential readers. What did this fancy blog tour cost him? What's a blog tour, you ask? If you never heard of a blog tour, drop everything and read on. Even if you're familiar, read on because you might still learn something new. Why do blog tours matter? Because all authors, whether traditionally published or indie, need media coverage if they're going to draw significant readership to their books. The nature of media has evolved in recent years to the point today where the term, "media" encompasses not only traditional media such as print newspapers, magazines and television but also "social media" such as blogs, podcasts, social networks like Twitter and Facebook and YouTube. Media is anything that can carry your message, and a blog tour is intended to get your message out on many blogs in a short period of time. In this interview, Alan tells us how to set up a blog book tour to promote your book. I'm particularly impressed by how he makes creative use of Smashwords Coupons as an integrated element of his promotion. He also makes a bold prediction about the future of print books (one, I'm sure, many of our readers will agree with). Read on! [Mark Coker]: Alan, you're doing a blog tour for your Smashwords titles, RealmShift and MageSign. For the benefit of other Smashwords authors who are new to blog tours, what's a blog book tour? [Alan Baxter]: A blog book tour is essentially taking your books out on the virtual road, in much the same way that authors would traditionally tour the country, visiting various bookstores promoting their work. In this case, an author visits a different blog every day where they engage in various activities (interviews, guest posts, reviews and so on) and make themselves and their books known to the audience of that particular blog. There's great cross-promotion as the writer's audience gets exposed to a variety of blogs they might not have discovered otherwise (which is good for the blog owner) and the blog's audience learns about the author. [Mark Coker]: What are the other benefits of such a tour? [Alan Baxter]: The benefits, other than the cross traffic I mentioned above, include opening not only your own books but the concept of online book promotion as a whole to a wide variety of people. My books are available in print as well as ebook format and I also have a novella available exclusively through Smashwords, Ghost Of The Black: A 'Verse Full Of Scum. By taking my two novels on the road, I'm opening up my other work, my Smashwords exclusive work and Smashwords itself to a wide audience that may not have ever considered ebooks before, or may not have heard of Smashwords. It also helps to increase exposure to my indie press, Blade Red Press. Building an author platform online is essential for indie authors and a blog book tour like this is a great way to expand that platform. [Mark Coker]: Describe the promotional tie in with Smashwords. I really wanted to make an aspect of this tour something special - a special offer for people following along. It's difficult with the print editions through Amazon or anything like that to make any changes in the short term. With Smashwords, however, there's an excellent degree of control for the author/publisher. With any title you have through Smashwords it's possible to generate vouchers to vary the cost of your books however you please. So that means that I've been able to set up a voucher code that will be made available to anyone following the tour, valid only for the duration of the tour. If those people then come to Smashwords to buy RealmShift or MageSign they can enter that code (Enter ZR95S for RealmShift and SF97B for MageSign) and the books will only cost them $1 each. Both books for $2, only through Smashwords. Anyone not familiar with the tour will still see the normal price of $3.50 each, so my overall sales don't risk taking a hit. But anyone that supports me by following the tour gets rewarded for it. I've used this function as well to get reviews. If someone is willing to review an ebook copy of RealmShift or MageSign, I direct them to the site and give them a code that gets them the book for nothing. There are two things that really make Smashwords a cut above in my mind - the complete control of pricing and the variety of ebooks formats in the one place. Nothing else compares. That's why I've used Smashwords to exclusively give away my Ghost Of The Black novella too. 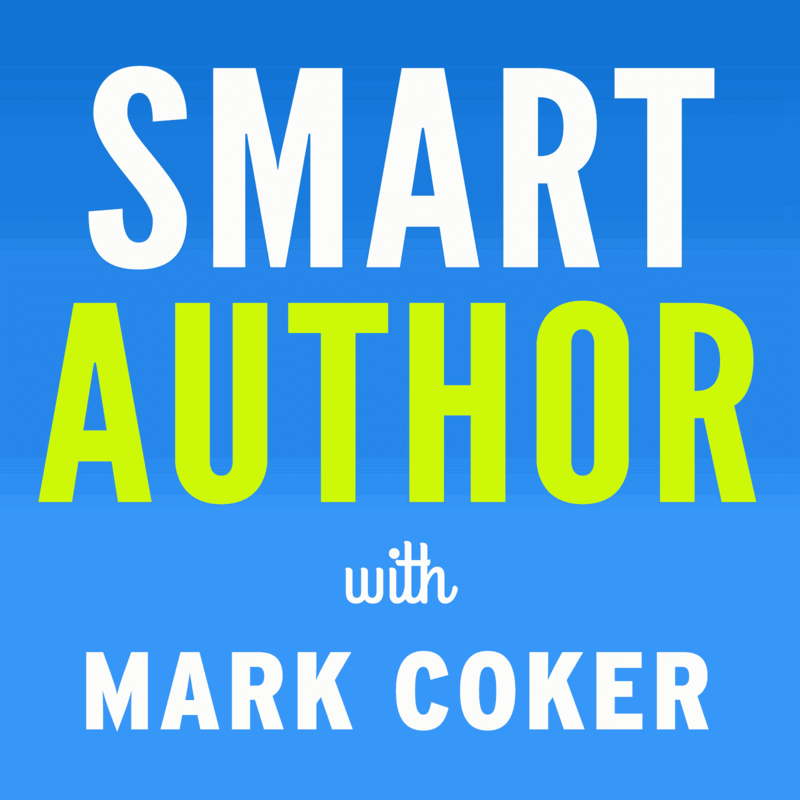 [Mark Coker]: How much publicity can an indie author expect to receive on a blog tour? [Alan Baxter]: How much work can an indie author put in? With anything in this game it's all about how much work you put in. It's also about working smart. If you get involved with a variety of blogs, with a widely varying audience, and you ask those people to promote the tour for you, then a lot of publicity can be generated. You can also make sure that you and those others involved cross-media promote with things like Twitter, Facebook and so on. I'm also involving Smashwords directly with a special offer on my books, which is another avenue of exposure. [Mark Coker]: How does one go about arranging such a tour? [Alan Baxter]: Firstly you need a quality product to promote. Then it's a case of contacting the owners of blogs that you think are relevant. For me it was based on blogs that I read a lot or that are owned by other indies I've met. There's also some blogs of friends and one blog that I'm an active contributor to. I contacted them all, asked if they'd get involved and asked what sort of thing they could host for me. I explained how the extra traffic could be a boon for them and then, if they agreed, we worked together to decide what I would do there. Day one: Guest post: Dark Fantasy – What is it exactly? - Monday 20th July at The Creative Penn. This is a blog all about indie authorship, but Jo is hosting a blog from me about the genre of my writing. It's something new for her readers and hopefully interesting for everyone. Day Two: Interviewed by Leticia Supple - Tues 21st July at Brascoe Books Blog Brascoe Books is an small press in South Australia, so Leticia is interviewing me about the nature of going it alone, the process of editing and so on. David is another indie author - he writes action adventure novels. As I'm often complimented on writing convincing fight scenes (my "day job" is as a kung fu instructor) he asked me to write about writing fight scenes. Day Four: Interviewed by April Hamiltion - Thurs 23rd July at Publetariat Publetariat is a hub site for indie authors, telling them all they need to know about self-publishing and indie publishing, from print to ebooks to just about everything. This is the site I'm a contributor too already, so April is interviewing me about my experiences. Day Five: Guest post: Demons and where to find them - Friday 24th July at Joan De La Haye’s blog Joan writes in a similar genre to me and has a fascination with demons. She always has a Demon Friday post where she writes about a different demon every week. In this case, she's given the Friday over to me and I'm writing about demons in general. Again, this is something different for her readers as well as being something interesting for those following the tour. Day Six: Wily Writers publishing my short story “Stand Off” (featuring Isiah, the protagonist from RealmShift and MageSign) as both text and podcast - Sat 25th July. Day Seven: Ruthie reviews MageSign - Sun 26th at Ruthie’s Book Reviews This one is a bit of a risk. Ruthie agreed to review the second book, MageSign, and post the review to coincide with her day of the tour. So I really hope she liked it. She gave RealmShift 4/5, so fingers crossed. Day Eight: Pat Bertram interviews Isiah, the protagonist from RealmShift and MageSign - Mon 27th July at Pat Bertram Introduces Pat often hosts interviews with the characters from books, which is a great idea. This was a fun one to do. Day Nine: Guest post: Indie authors and the future – Tues 28th July at Musings Of An Aussie Writer Brenton is another Aussie author and he asked me to talk about the nature of indie publishing and how I see things progressing as time passes. Day Ten: Guest post: The inspiration for RealmShift and MageSign, what they’re about and what’s next – Wed 29th July at The Furnace The last day here is me talking directly about the books, which is the first time on the tour that I've done that, and also talking about my future projects. As you can see, I tried to build an interesting and varied experience for everyone involved to enjoy. Hopefully plenty of people will follow the tour, comment on those blog posts and generate some discussion and interaction. [Mark Coker]: In addition to writing the three books above, you're also the founder of Blade Red Press. Does Blade Red Press only publish titles from Alan Baxter, or are you signing other authors, and if so, what publishing services do you offer? [Alan Baxter]: At the moment we have one other book available through the press, by another Aussie author called Michael Fridman. His book is available at Smashwords for free, incidentally! As time allows I intend to offer the press to other authors as well. The criteria are that I will only publish good quality, dark speculative fiction. That makes us a genre specific press, which will help to establish our profile. While I will vet the work I accept, I won't be offering any deals or contracts. I'll simply be offering the opportunity for those authors to have their work made available under the Blade Red Press banner which means POD sold through Amazon, etc. at a much cheaper cover price than, say, Lulu, or other author service companies like that, and they will also have their work listed here at Smashwords under the Blade Red Press banner. They will essentially be self-publishing just like myself and Michael, but they'll have earned the Blade Red stamp of approval. That means quality writing, quality editing and professional production. Then it's up to them to make it work! RealmShift is the story of Isiah, a powerful immortal that has the unenviable task of keeping some kind of balance between all the gods that people believe in. It's Isiah's job to prevent any one god gaining too much power, therefore throwing out the balance of free will in humanity. In this instance he has to track down a nasty blood mage, Samuel Harrigan, that has reneged on a deal with the Devil and caused all kinds of problems. The trouble is, the Devil wants Harrigan too. The inspiration was really born of a desire to explore the nature of faith and belief and wrap it all up in a cracking action thriller. MageSign is the sequel to RealmShift, where Isiah goes after the guy that taught Samuel Harrigan all his blood magic. Isiah wants to prevent this guy, known only as the Sorcerer, from making any more dangerous mages like Harrigan. Except Isiah quickly discovers that the Sorcerer has more followers than he ever imagined and a truly diabolical plan. Again, it explores what people believe in, why they do so, the power people have and the things they do with that power. And again, it's a cracking good yarn, full of action and intrigure, magic and martial arts. The third Smashwords title I have is Ghost Of The Black: A 'Verse Full Of Scum. This is the first of my serialised novella following the activities of Ghost, a hardened galactic bounty hunter. This was something a bit removed from my other work, though I still explore similar themes. I originally published this story in weekly episodes throughout 2008 on my website. It's still available to read there, but if you want the whole thing in a one volume ebook (with a very sharp cover!) that's available exclusively here at Smashwords, and it's free! [Mark Coker]: My sense from this side of the equator is that there's a vibrant publishing community in Australia, and many Australian indie authors including yourself have been at the forefront of indie ebook publishing. For the benefit of the our readers around the world, tell us a bit about the book culture in Australia, and the opportunity you see for authors to leverage ebooks as vehicle to reach a global audience. [Alan Baxter]: Well, [print] books are expensive in Australia and we only have twenty million people. But Australians love to read. That means that the big publishers don't see us as much of a profitable market (as there's so few of us) and that makes it hard to get published here. So there are a lot of niche indie presses around and a lot of us are grabbing the opportunities that ebooks present. Not only are the overheads zero, but we get to expose our work to a global audience on an equal footing with everyone else. I upload a book to Smashwords and it's available instantly all over the world. For us here on the far side of the planet, that's an unprecedented opportunity. And ebooks are certainly the way of the future. I love having my books in print, they sell in print and there will always be a market for print. But I think that print will slowly become the niche market and ebooks will become the mainstream. Especially as ereaders become cheaper and better, the ebook will continue to rise. Leveraging that kind of swell in public consumption with a site like Smashwords is a chance for authors to gain a huge following all over the world. Just loved this, loads of good points for the new author and for the not yet published author looking platform building advice. One thing I realised when I looked at the schedule of @camytang's tour (sorry I can't recall the link) was the need to build a list of websites and blogs as early as you can, ones that you can work with. Book blogs, writers blogs, genre blogs and as you said friends blogs. Camy's tour is something like 58 venues in forty days. Obviously even 10 is a lot of work and building the relationships early and as you work will save having to cram it all in in one go. Joanna - I'm trying to gather as many stats as possible and I'll do a wrap up post at my blog after the tour and try to show what kind of impact the tour had. Andy - 58 venues in 40 days?! Good grief, that's incredible. I was very mindful of keeping the tour interesting and decided to have ten stops with as much variety as possible. In some ways, a new audience at every blog means that I could have done pretty much the same thing everywhere. However, I thought that would be boring for me and for others following the tour. Alan, I can't say how diverse her tour is, with the amount of venues I would expect a fair bit of repetition. What rocked me on my feet was the simple magnitude of what she is attempting and its importance for/to a author. It was because I realised this, that I tuned into your post. Prior to that I would simply have thought "Oh yeah, another blog tour." Wishing you and all others the very best of luck with your/their tour/s. Oh, and if anyone wants to set a tour date on my blog I would be only too happy to help. My blog is biased towards the art of writing and marketing your work. Guest post slot is on a wednesday. I had a look at her itinerary and it's really quite impressive. She had a few reviews lined up from different people which fills some days and a number of other spots seem to be a siungle question answered, whereas I've done a few interviews on different aspects of writing, publishing and marketing but I answer several questions in the one place. Regardless, the amount of work that must have gone into her tour is quite amazing. Thanks for the updated info, Andy. 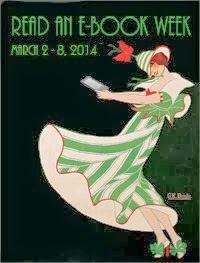 I enjoyed learning about virtual book tours. It opened my mind up to new ways to communicate the availability of the message that the book carries. That interview was EXTREMELY helpful. Thanks Alan & Mark and the other comments. I just published at my "TwiLove Poems" book at Smashwords and I'm researching methods of marketing, so you guys answered a LOT of questions for me. I hope to plan a virtual tour as well, and will likely even use a coupon or two from Smashwords to further promote. THANKS!! Thank you to the both of you for this fantastic interview. I've been published with Smashwords for two weeks now, and I've already advertised my work on a blog. But now thanks to this, I've got more blogs to contact. Thanks for this post Alan-it is very helpful as I plan my own tour. Thanks alot Mark and Al for sharing your expeience. I have learnt alot from this interview! I look forward to trying a blog tour as you suggested. You make it seem like it's doable and not as overwhelming as I'd assumed. Good luck with your press and your books.